Evans Design Studio follows a 4 Month SEO Strategy Plan proven to generate targeted traffic by giving Google exactly what it wants. This in-depth SEO strategy example would work for anyone looking for an easy to follow template. This is a good thing for small business owners to outsource because the ROI is high and there aren’t any contracts. 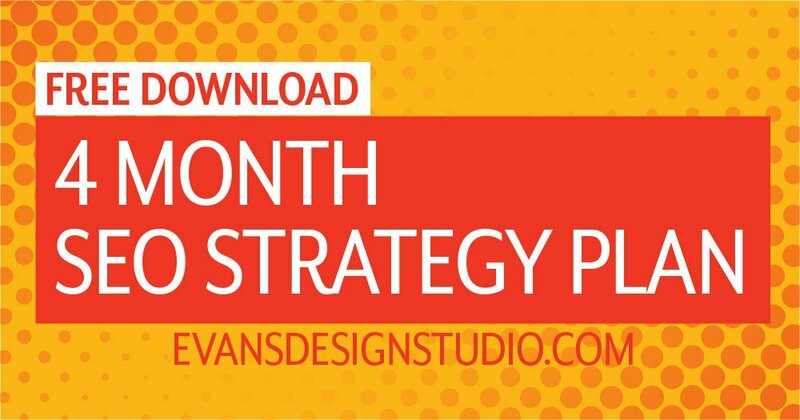 Please fill out the form below to download the eBook “4 Month SEO Strategy Plan”. The domain needs to be assessed so we clearly know exactly what we’re working with. After planning the overall SEO strategy, the next step is to optimize your website. Once your site is optimized, it is time to re-review your internet presence and start getting the updated page information out to the search engines. To keep the momentum going, it is essential to continue posting and promoting fresh content on a regular basis and monitor and fine-tune your SEO strategy each month.